Shopping in Florence is a historian’s delight. Artisans practice the craft their family has perfected over centuries. You can stop by their workshops and see them in action. At numerous markets throughout the city, vendors honor their city’s past selling at outdoor stalls as merchants did long ago. Stores that have been around for ages offer timeless treasures. Shopkeepers sell marbled paper, ceramics, leather, and mosaics—products for which the city is famous. Florentine artists set up shop in piazzas throughout town. Savvy shoppers may purchase a work of art from the next Michelangelo. With stores and markets integrated into the fabric of the old city, shopping in Florence is easy to fit into a day of sightseeing. Florence’s markets tickle my fancy. As Florentines have done for years, they offer up an array of merchandise at any of the numerous markets throughout the city. Some bazaars are known for their food, while others specialize in antiques. Merchants sell trinkets to take home as souvenirs, as well as the everyday essentials needed by locals. 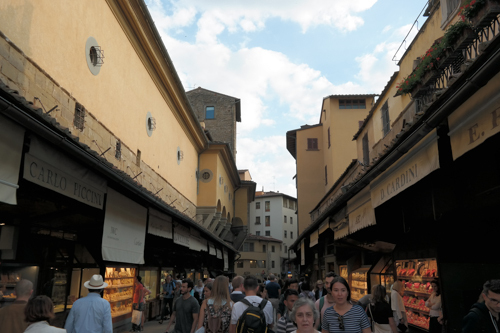 The open-air San Lorenzo market is located a few minute’s walk from the Duomo in the heart of historic Florence. Vendors sell touristy tchotchkes and specialize in the quintessential products of the region. For food and wine, step into the indoor market—Mercato Centrale (Central Market), which is located in a large building nearby. Near Palazzo Vecchio under a historic loggia, the Mercato Nuovo (New Market) features souvenirs of the same variety as San Lorenzo. But it has something special. 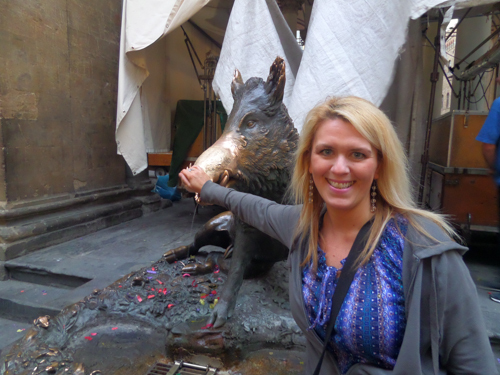 Also known as Porcellino Market, a bronze boar fountain makes this market stand out. Legend has it that if you rub the pig’s nose it will bring you fortune. I rubbed it over and over while hubby even hugged il Porcellino…sadly, we are still waiting. I’m not giving up though—I’ve seen the power of Italian legends, as every time I’ve thrown a coin in Rome’s Trevi Fountain I have indeed returned. I was very lucky the day I visited Santo Spirito’s market and found their monthly antique and flea market going on. There is generally a local market with products to meet local resident’s needs, but on the second Sunday treasures abound. 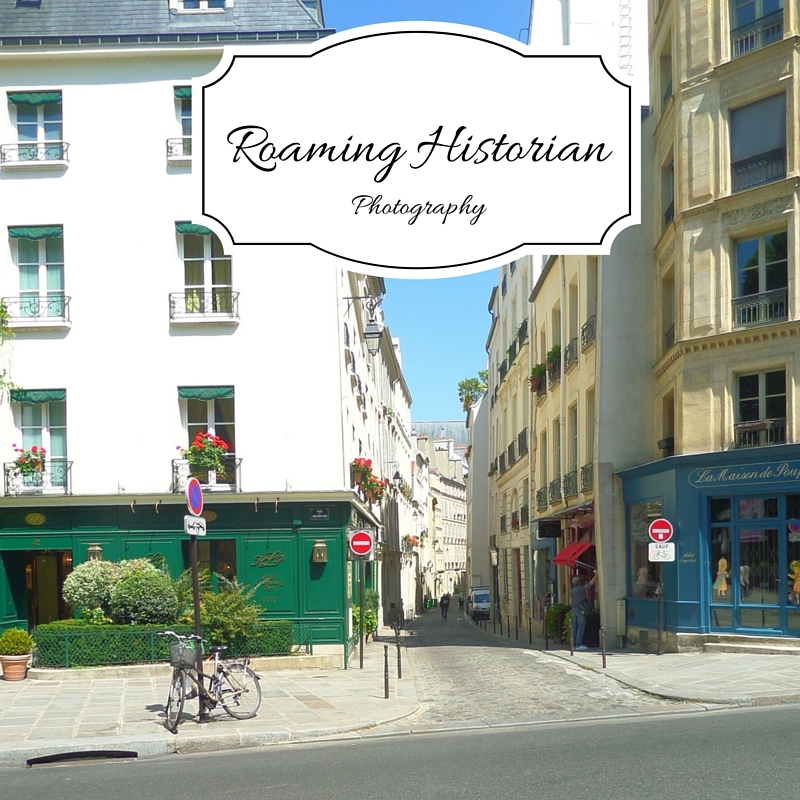 I rifled through collections of ancient coins, stared at fine artwork, and delighted over old items of all different styles. Other popular markets are: Sant’Ambrogio, Ciompi Market (currently in Piazza Annigoni), and Le Cascine (quite a ways out, but huge). The goldsmiths on Ponte Vecchio have actual shops, but something about that old bridge reminds me of a market. Musicians play, itinerant salespeople try to coerce tourists into buying their object of the day, and artists sell prints of the city and its most famous sites. For haute couture and some of the finest stores around, stroll along via Tornabuoni. This is the place to buy leather products. You may pay more than from a street market, but you’ll find the quality of leather goods the city is known for. For beauty products, I love Santa Maria Novella—the oldest pharmacy around. This historic apothecary located in gorgeous Renaissance digs has fabulous soaps, creams, and waters. You can read more about it and my favorite perfume store, AquaFlor, in my post, “Italian Beauty.” For beauty steals that are easier on the pocketbook, you’ll want to stop by Biffoli on Piazza del Duomo. Here you’ll find soaps, face creams, lotions, perfumes, and other beauty products at a fraction of the price of some of the costlier brands. Florence’s artisans craft their products using age-old techniques. Some workshops are open to the public and you can watch skilled crafters practice their trade. 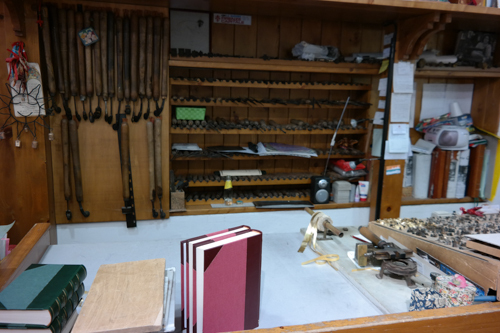 At bookbinder and paper maker Alberto Cozzi, a woman arose from a heavy wooden desk covered with tools and stamps. To handicraft their gorgeous marbled paper, she told me that the company still uses the practices from when they opened in 1908. Across the Arno River in the Oltrarno area, there are many more workshops. Although I couldn’t afford a piece, I enjoyed seeing the mosaic furniture at Pitti Mosaici (across from Pitti Palace). Using the technique of pietre dure, little stones are fitted like a puzzle and laid into beautiful, colorful shapes. Their mosaic-topped tables are phenomenal (and expensive…beauty isn’t cheap). Even if you can’t afford to take one home, you can watch artisans at work in the studio and marvel at the skill needed to create such intricate works of art. 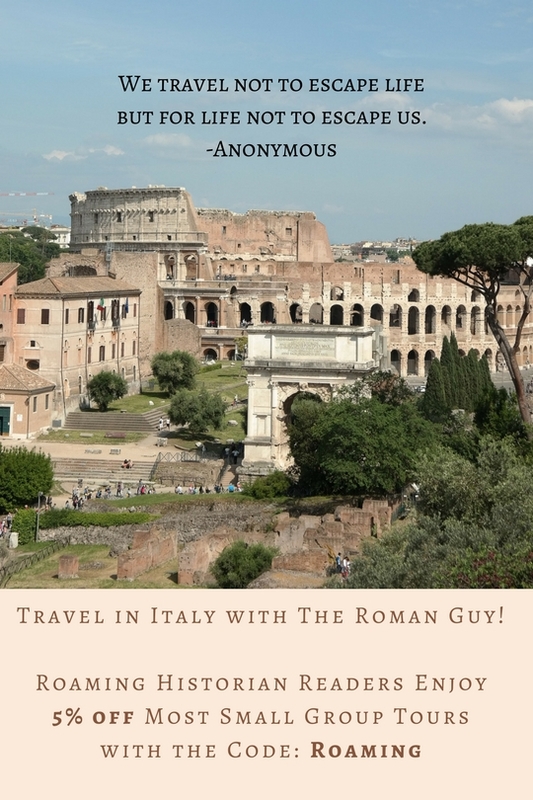 You’ll find it quite easy to buy mementos of your Tuscan trip in Florence. Shops, markets, and itinerant merchants abound. 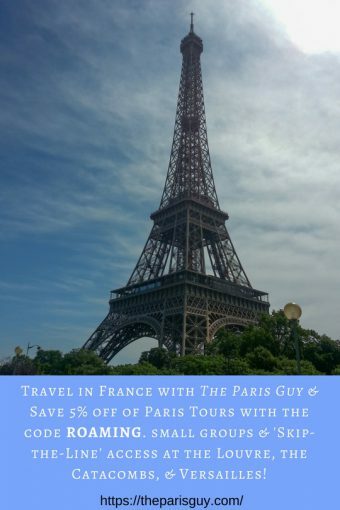 Whether you’re crossing the old bridge, visiting a landmark, or hanging out in a piazza, shopping opportunities are rife. Remember that prices are often soft at markets, so don’t be afraid to propose a little lower price. Also, I always double-check that my Italian treasures are actually made in Italy. I hope you have fun shopping in Florence and witnessing vendors pay homage to the city’s history. If you’ve been, post a comment and share your favorite shopping place or most treasured purchase. I would love to hear about great places to go next time!